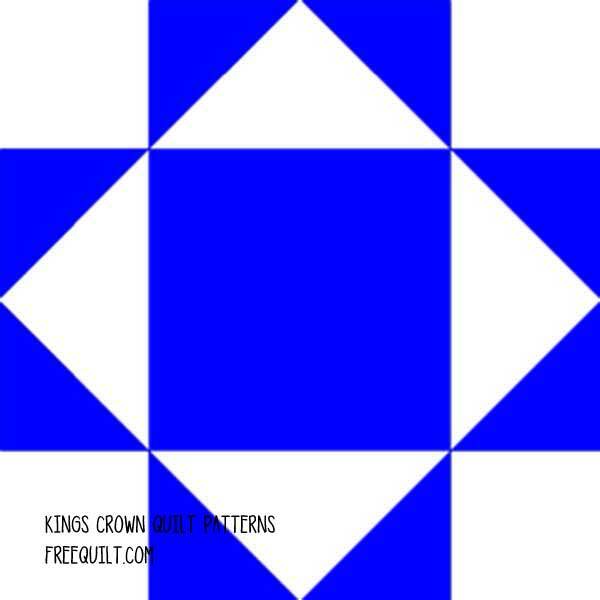 A free King's Crown quilt pattern is an ornate block that is simpler to make than it appears. There are several variations, but the blocks use basic squares, triangles and half-square triangles to keep sewing straightforward. A table runner or centerpiece is a good way to try out this pattern without investing a lot of time. Make your blocks large to complete your project quickly, or use plain blocks between King's Crown blocks to cut your sewing time in half. Choose colors to blend with your room décor and create an elegant accessory that everyone will enjoy. Combine rich batik with dramatic prints for a combination that will turn heads. 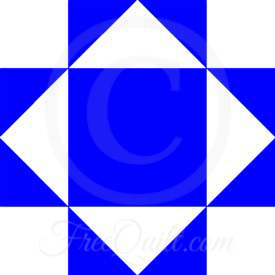 Click image to print the 6" block of the King's Crown quilt pattern. A very ornate block with the same simple construction can be found here.